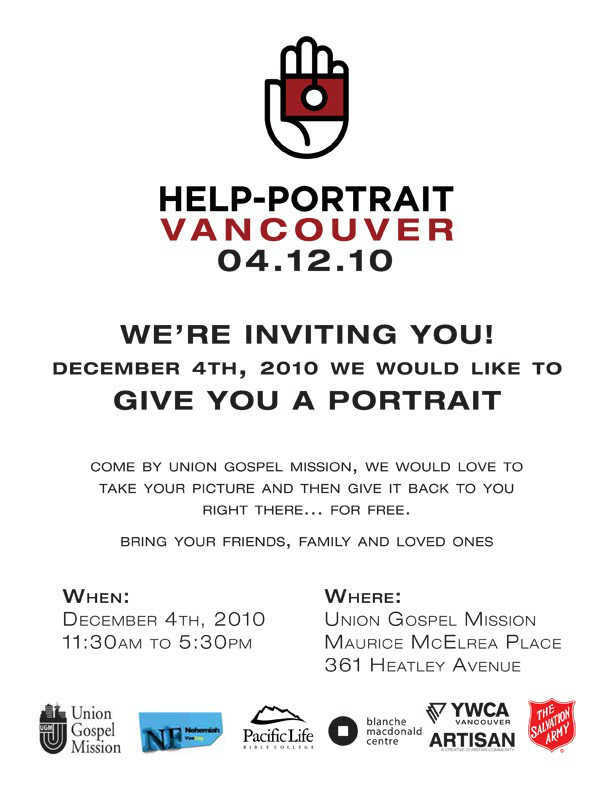 We are honoured to be holding our 2010 event at Union Gospel Mission’s Maurice McElrea Place. The event will start at 11:30am and run till 5:30pm. If you would like to be involved please contact Ian Sheh (lead photographer) or Stephanie Forster (community coordinator). October 27, 2010 | Filed under Vancouver Downtown Eastside (DTES) and tagged with Downtown Eastside, DTES, Help-Portrait, portraits, UGM, Union Gospel Mission, Vancouver.